The Autism Society promotes active and informed involvement of family members and the individual with autism in the planning of individualized, appropriate services and support. The board of the Autism Society believes that each person with autism is a unique individual. Each family and individual with autism should have the right to learn about and then select the options that they feel are most appropriate for the individual with autism. To the maximum extent possible, we believe that both the parents and the individual with autism should make decisions. 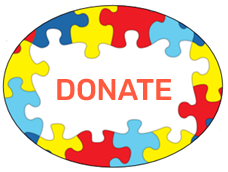 We firmly believe that no single type of program or service will fill the needs of every individual with autism and that each person should have access to support services. Selection of a program, service, or method of treatment should be on the basis of a full assessment of each person’s abilities, needs, and interest. We believe that services should be outcome-based to insure that they meet the individualized needs of a person with autism. The terms “autism” and “pervasive developmental disorder” are sometimes used interchangeably on this site. Although some people distinguish between these two diagnoses, the same educational strategies and interventions will help children with either diagnosis. AcadianaAutism.org does not collect personal information from users of this site. It does not send unsolicited e-mail or spam through its email service. ALL recipients of email sent through the bulk email service we use, Constant Contact, have given their consent to receive email from Autism Society Acadiana. If you do not wish to remain on our email list, please follow the instructions to unsubscribe, or contact our office to have your email address removed from the list. The information found on this website is for informational purposes only. No endorsement of any particular therapy or intervention is implied. Because no two individuals with autism are the same, you are strongly encouraged to research all information offered to determine whether any approach, treatment or program may be beneficial to you, your children, or your students.